Kathy Ward has stepped down after 36 years at Canadian Black Book. The values of used vehicles could begin to decline soon as more off-lease vehicles come onto the market, says the retiring president and CEO of vehicle value publisher Canadian Black Book. After 36 years breaking barriers in the auto industry, Kathy Ward has stepped down, marking the final chapter in an odyssey begun by her father, Bill, in 1961. Asked about where she sees vehicle values heading, Ward said, “they have really been on a roll for the last six years,” and expects a turning point soon where prices will start to come down. “Mainly due to the increase in the number of off-lease vehicles both in Canada and the USA, and if the Canadian dollar strengthens. “We’ve seen record new- and used-car sales, which is great. However, there is cause for concern in the long-term loans we’re seeing and the amount of negative equity in the market,” Ward said. Under her watch, Canadian Black Book solidified its position as a trusted provider of vehicle values to business and retail car buyers. As the business grew during her school years, Ward attended trade shows and other industry events with her father.By 1980 she was an office administrator and then went on to establish successful sales results in a male-dominated field. At that time, before electronic communications and the advent of social media, she developed perhaps her greatest strength: relationship building. In 2006 she took the reins as president and CEO and in 2010 led the launch of CanadianBlackBook.com, a consumer data source. That was the turning point for CBB as it helped grow the company exponentially. In 2015, Ward negotiated the sale of CBB to U.S.-based Hearst Business Media. In anticipation of her retirement, she helped strengthen the team and accommodate the transition. “She is leaving Canadian Black Book in very capable hands with an energized management team that is well prepared for the future,” said Tom Cross, executive vice-president at Hearst. 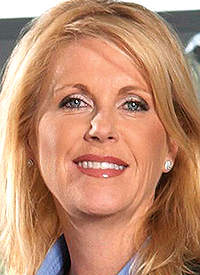 As Ward steps away from day-to-day operations, the accomplishment she covets most has been her ability to prosper as a woman at the helm of an automotive company. Her legacy will serve to demonstrate that women “need not fear” entering the industry.